Barcelona came into the second leg of the Champions League quarterfinal as the heavy favourites. 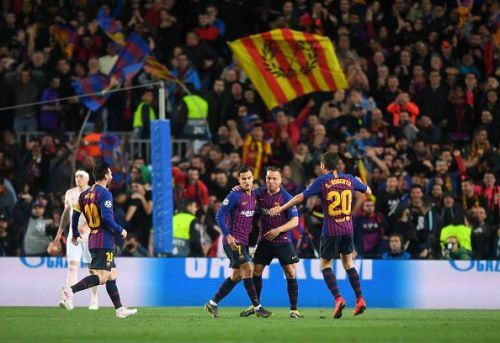 The Catalan club just needed to avoid defeat in order to qualify for the semifinals for the first time in four years. On the other hand, Manchester United had a monumental task in their hands as they had to beat Barcelona at Camp Nou, something no team has done for six years. The visitors started the match on the front foot as they had some chances to level the aggregate score. Once Barcelona got into the groove there was no hope for the Red Devils. Barcelona was awarded a penalty which was eventually overturned by the VAR. Lionel Messi made full use of the loose ball by Ashley Young to give a 1-0 lead to Barcelona. Then he doubled the scoring as David de Gea made a huge blunder. From there on, Manchester United was just chasing the shadows as Barcelona kept the ball. Phillipe Coutinho added salt to the wounds of Manchester United by scoring one brilliant goal to make it 3-0. Barcelona has qualified for the semifinals by winning quarterfinals with the aggregate score of 4-0. On the other hand, this is United's fifth defeat in the last seven matches in all competitions. Let us look at some of the reasons behind Barcelona's convincing win. It was a very convincing win for Barcelona but they must thank their defence for a solid effort. Manchester United have some quality strikers who had the ability to change the course of the tie. We saw it against PSG when United mounted a brilliant comeback in Paris after losing the home leg by 2-0. 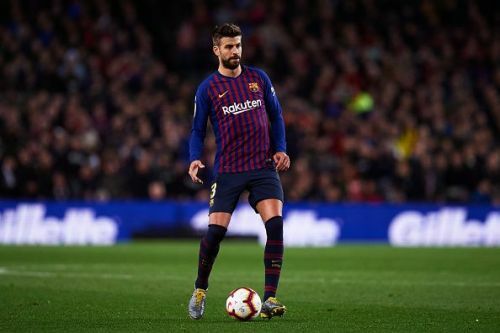 The Barcelona defence led by Gerard Pique was up for the task. After weathering the initial attacks from the visitors, they held their line well to not afford any further chances to the Red Devils. The fact that United could not even score a single goal over the two goals is a testament to the defensive effort of Barcelona. This solid defence is the reason that Barcelona is in running to win the treble yet again this season.